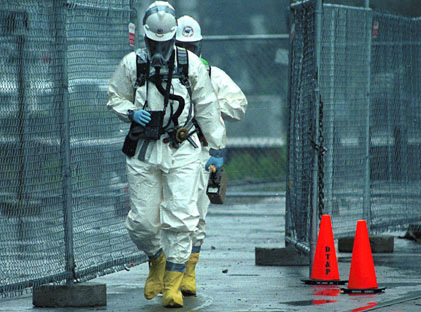 The CAMEO® (Computer-Aided Management of Emergency Operations) software products have been valuable hazardous materials response and planning tools since the first products were introduced in 1986. The CAMEO software suite consists of four core programs: CAMEOfm, CAMEO Chemicals, ALOHA®, and MARPLOT®. These applications can be used together or separately, but when they are used together, the programs interact seamlessly and information can be linked easily between them. In addition to these core programs, there are several other programs that can be used with the CAMEO software suite. CAMEOfm: A tool for managing data about chemicals stored or transported in your community, especially data required under the Emergency Planning and Community Right-to-Know Act (EPCRA). CAMEO Chemicals: A program with response recommendations and physical properties for thousands of hazardous chemicals, and it also includes a tool for predicting possible hazards that could occur if chemicals mix. The program is available is several formats, including a CAMEO Chemicals app for iOS and Android. ALOHA: A hazard model that estimates how a chemical cloud travels in the air after a spill and identifies areas where a threat to people may exist. It also models some types of fires and explosions. MARPLOT: A mapping tool used for assessing geospatial information for emergency incidents and creating custom maps. Tier2 Submit™: A program that generates an electronic chemical inventory Tier II facility report, which can be used to automatically update the facility information in CAMEOfm. RMP*Comp™: A tool to help facilities complete the offsite consequence analysis that is required as part of the Risk Management Plan. CAMEO Fact Sheet [PDF, 720 KB]: Learn more about basic features of the four core CAMEO suite programs in this CAMEO fact sheet. CAMEO and its Uses: Discover who is using the CAMEO software suite and how they are adapting its programs for applications beyond chemical emergency response and planning. CAMEO News Service: Join this email list on the EPA CAMEO site to receive news and other helpful information from the development team. CAMEO Training: Find CAMEO training opportunities for first responders ad emergency planners. Questions: Contact us with questions, comments, or suggestions about CAMEO.